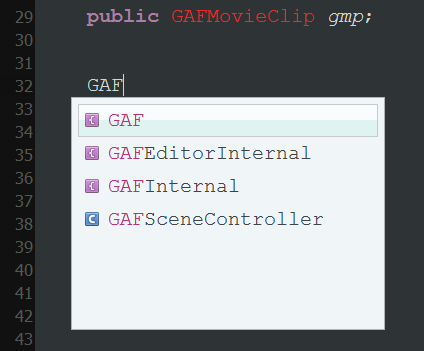 Assets/TheGame/1_Scripts/Lvl2_AsteroidMaker.cs(26,16): error CS0246: The type or namespace name `GAFMovieClip' could not be found. Are you missing a using directive or an assembly reference? I also re-imported GAF from the asset store 3 times and always the same issue.